Mother of the Groom robe is absolutely adorable and a pretty shade of silver/gray! It goes perfectly with my wedding colors and I know it will make my MOG feel so special and part of the group. The satin is so soft and comfortable. I cannot wait to give this to my future mother-in-law! The embellishment is a nice addition, too. 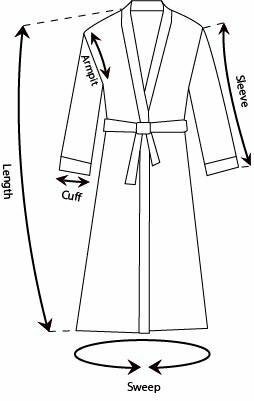 This is the best price I've found online anywhere for robes and they are FANTASTIC quality. They also shipped VERY quickly and were at my doorstep within only a few days. They are going to be the perfect gift! Highly recommend these robes. You won't be disappointed!